Office hours will reflect our regular schedule for the week of Monday, January 4th. The Doctors and Staff at Sheldon Road Chiropractic & Massage Therapy would like to wish everyone a happy and healthy New Year! Laser therapy is simply using light energy to promote cell and tissue healing and repair. Luckily for us, understanding the physics and cell biology behind this medical technique, IS NOT a requirement for laser therapy to work! The scientific research has been done and we can begin to utilize the benefits of laser therapy for pain management and healing our bodies right NOW! The science involves a photochemical response. That means, using light to create a chemical reaction within injured tissue. Not just any light. The therapeutic dose of light must be the right power (brightness), able to penetrate deep enough to the injured tissue, and delivered into the injured tissue over a specific amount of time. These factors are determined by your Doctor after they take a thorough medical history, perform an examination, take or review diagnostic tests including x-ray/MRI, and arrive at a proper diagnosis. If you're a candidate of laser therapy we can start your treatment that same day! Laser therapy treatments are cumulative, each one adding to the one before. It is important to remember that the absence of pain does not indicate complete healing has occurred. So be sure not to stop receiving treatment when you start to feel better. Adhering to the recommended treatment protocol assures the best outcomes. Only then can laser therapy be successful in the role of increasing the speed of recovery and the quality of your healing. CARMICHAEL, Calif. – December 18, 2015 – The Foundation for Chiropractic Progress (F4CP), a notfor-profit organization dedicated to raising awareness about the value of chiropractic care, recognizes Karen Slota, DC – the first female doctor of chiropractic (DC) to be contracted by the National Football League (NFL) to serve on its medical staff. According to experts at the F4CP, the impressive health and athletic performance displayed by professional athletes can, in part, be credited to the multidisciplinary team of on-staff healthcare professionals, including DC’s. Healthcare personnel who serve professional athletes and teams generally include medical doctors, doctors of chiropractic, physical therapists, certified athletic trainers and support staff. Utilized by all 32 NFL teams, doctors of chiropractic are qualified to diagnose, address and manage a broad spectrum of health conditions. In 2001, the Professional Football Chiropractic Society (PFCS) was established to provide the education and communication necessary to enhance the perception of chiropractic care in sports and the general public, as well as optimize the health and performance of individual athletes. About Foundation for Chiropractic Progress: A not-for-profit organization, the Foundation for Chiropractic Progress aims to inform and educate the general public about the many benefits associated with chiropractic care. And the Holiday Massage Winner is... Taskin Balaban!! Please contact our office at 813-884-1457 and speak to Laura or Debbie to schedule your free hour massage with the therapist of your choice! Thank you to all of our participants! Happy Holidays! 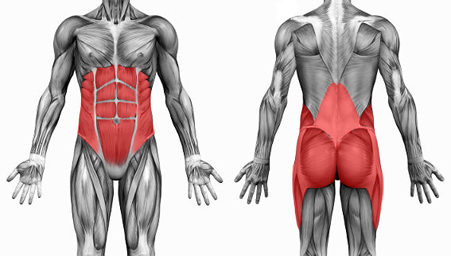 Dr. Kollias always suggest these simple yet very effective Back Exercises for strengthening the core muscles. Any questions regarding proper implementation should be directed to either himself or Dr. Karen Derr.